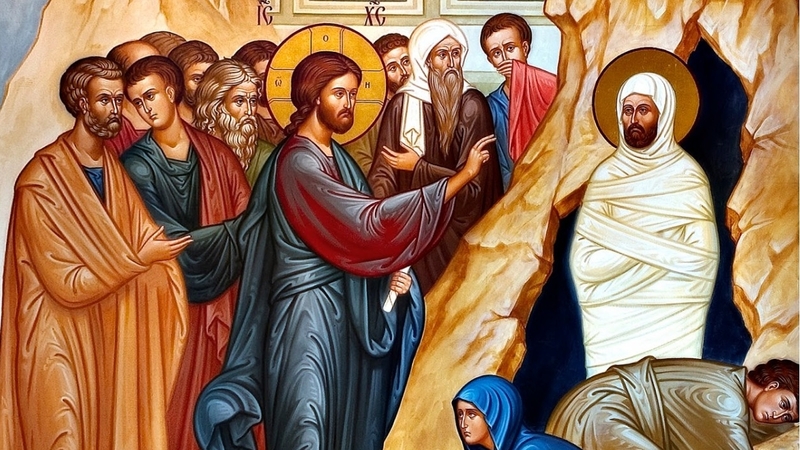 Theme: The fourth day raising of Lazarus from the dead, as the pledge of the universal resurrection of mankind. Theme: Triumphal Entrance of the True King into Jerusalem. He inaugurates His Kingdom. 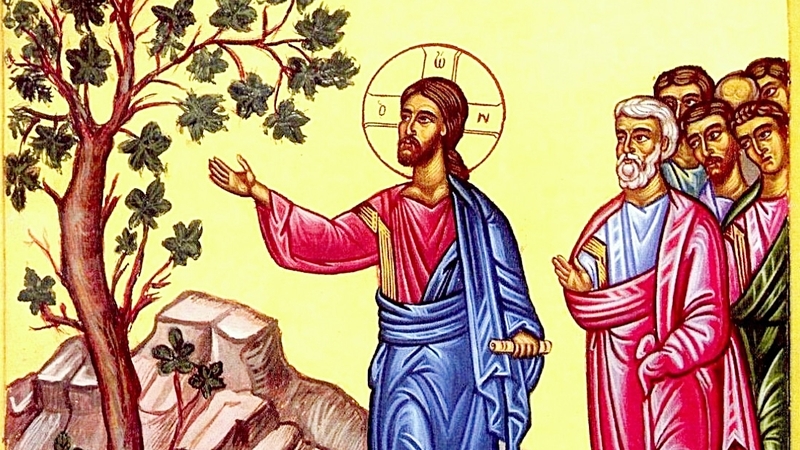 Theme: bearing the fruits and our response to God. Theme: Now is the judgment of this world. The Son of Man shall be delivered up, as it is written of Him. 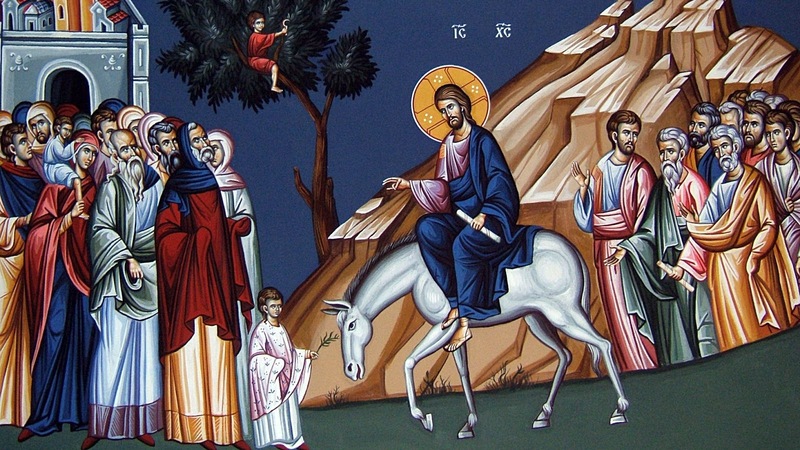 Christ's exodus to His Father and His fulfillment of the whole history of salvation. 6:30 PM - Orthros of Holy Friday. Passion Service. 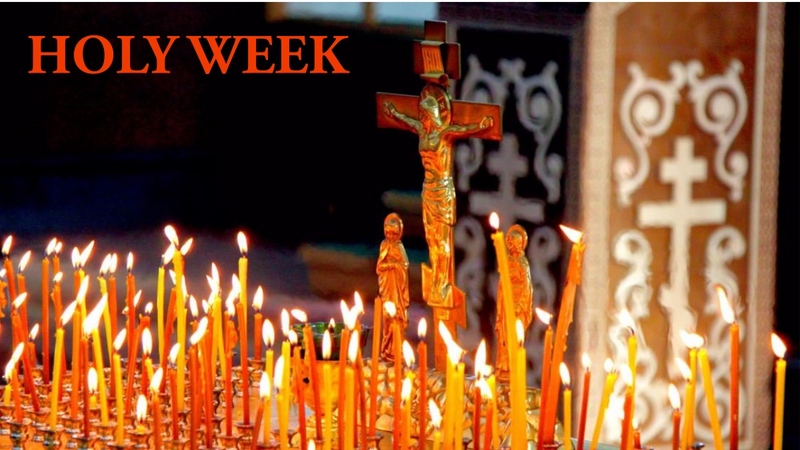 This is the day on which Orthodox Christians make it a point to participate in Holy Communion. Children may be excused from school for the morning. 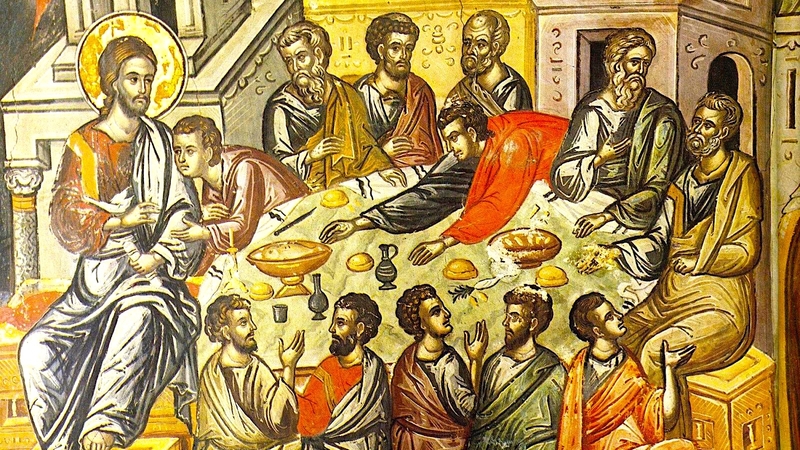 Theme: The Lord’s Supper, when Jesus ate the Passover with His disciples. 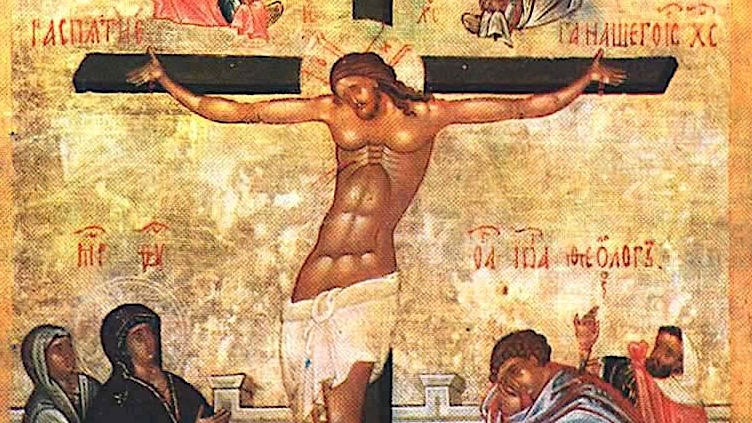 Theme: The trial and crucifixion of Christ. We should all make an effort to spend this day in Church, heeding our Lord’s words to “watch and pray”. 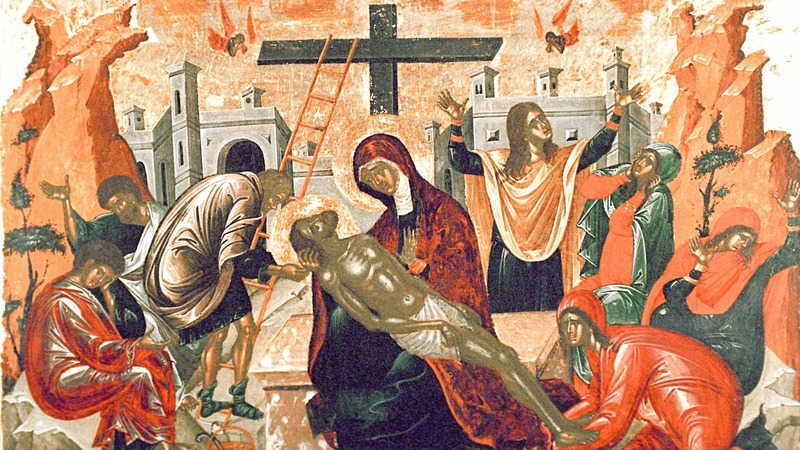 During Vespers, Christ is taken down from the cross and placed in the decorated tomb. 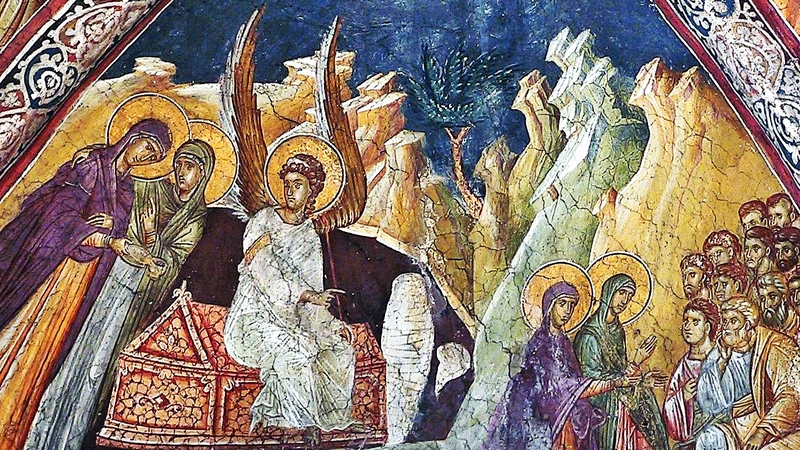 Theme: The Burial of Christ by Joseph of Arimathea, Nicodemus and the Myrrh-bearing Women. We sing the glorious Hymns of Praise of the buried Christ, and we process with the Bier. Theme: The Victory of Christ over death and his glorious Resurrection. 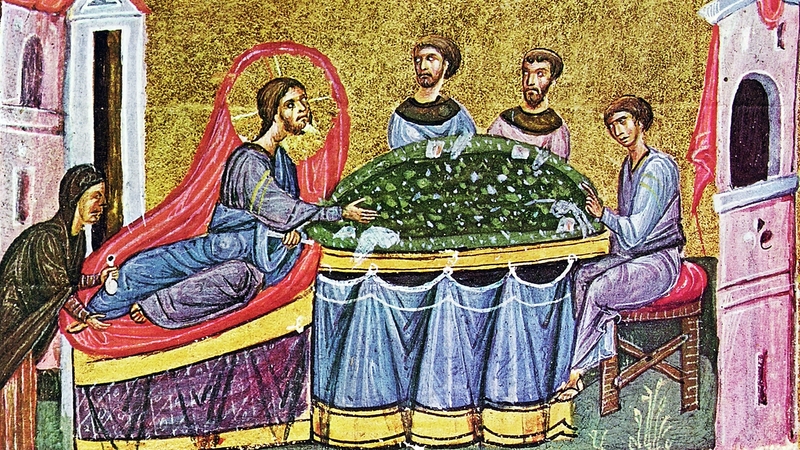 This is truly the most beautiful and ancient service the Orthodox Church knows. ..."Why do you seek among the dead as a man the One who is everlasting light? Behold the clothes in the grave! 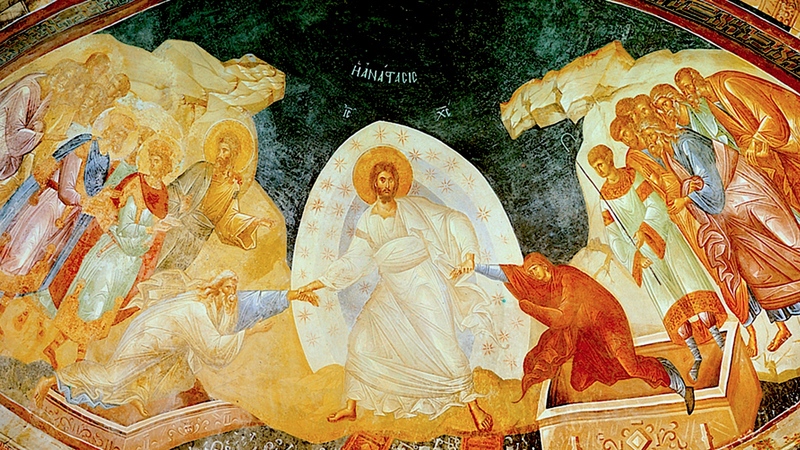 Go and proclaim to the world: The Lord is risen! He has slain death, as He is the Son of God, saving the race of men." Theme: The renewal of Creation in the Light of Christ’s Resurrection. The new Light is distributed to the faithful, who carry it in procession. 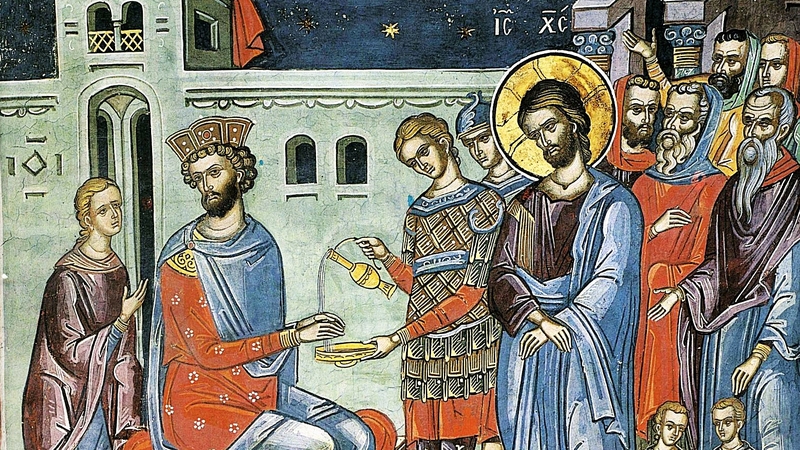 The Church is re-consecrated, and we enter to celebrate the Divine Liturgy. Theme: The Good News (Gospel) of the Resurrection will be proclaimed in as many languages as possible just like in the videos below.